BANGKOK, Thailand. KidZania Journal. March 22, 2013. (English). 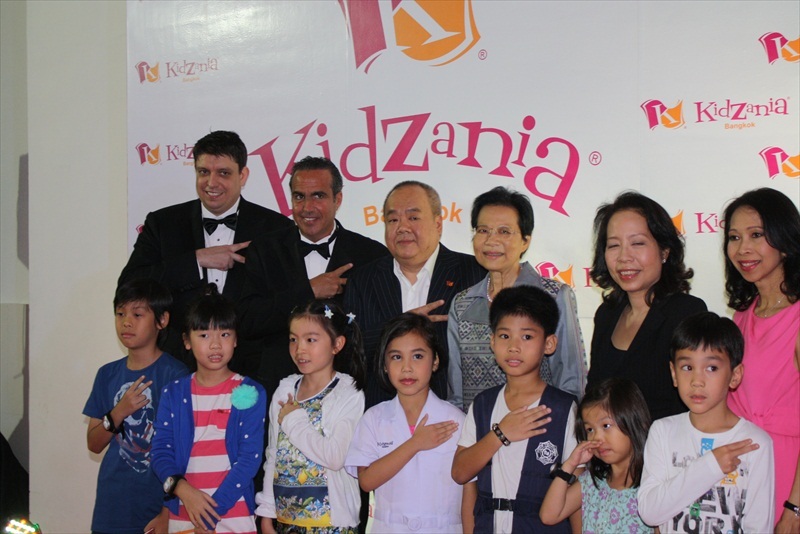 –KidZania, one of the most inventive kid’s entertainment brands, unveiled today its latest location in Bangkok, Thailand. This marks the foundation of KidZania’s 12th interactive kids’ city and expands KidZania’s reach to nine different countries, with centers in Mexico, Portugal, South Korea, Indonesia, Malaysia, Japan, United Arab Emirates, Chile and now Thailand. 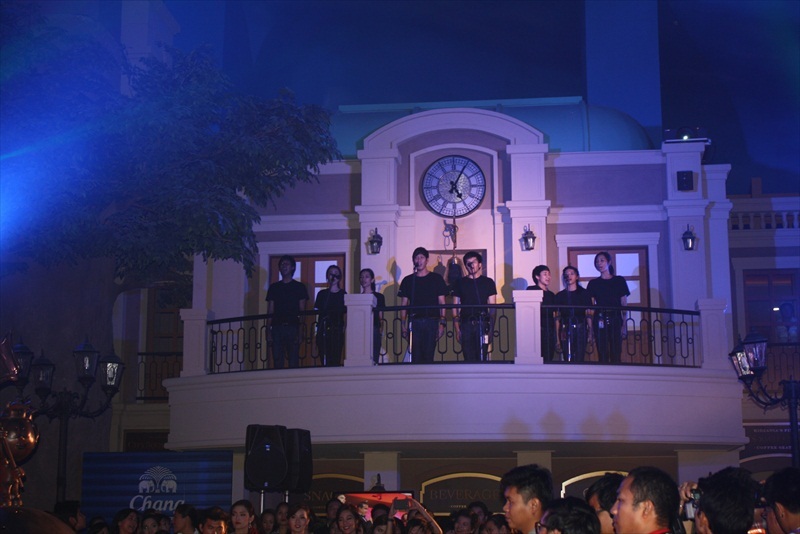 KidZania’s unique blend of role play in ultra-realistic, kid-sized city environments has made it one of the fastest growing kids’ interactive entertainment brands in the world. 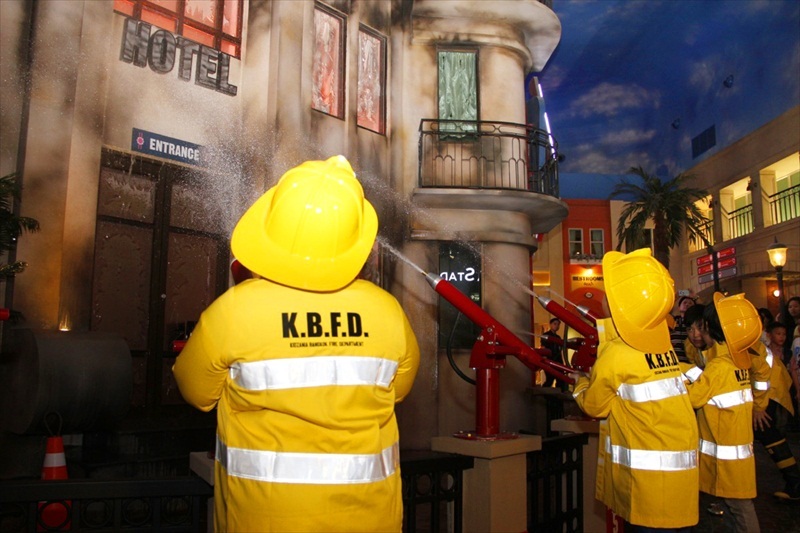 KidZania Bangkok is the largest KidZania attraction in Asia, introducing kids to more than 80 careers in an indoor replica of a real-life city, complete with kid-sized streets, buildings, utilities and vehicles. Poised to become an educational landmark, KidZania Bangkok endeavors to empower, inspire and entertain children aged 4-14 throughout Thailand. Located at Siam Paragon Bangkok, the country’s most prestigious shopping mall, young visitors enter KidZania Bangkok through the park’s mock airport into the sprawling 10,000 square meter, kid-sized city. 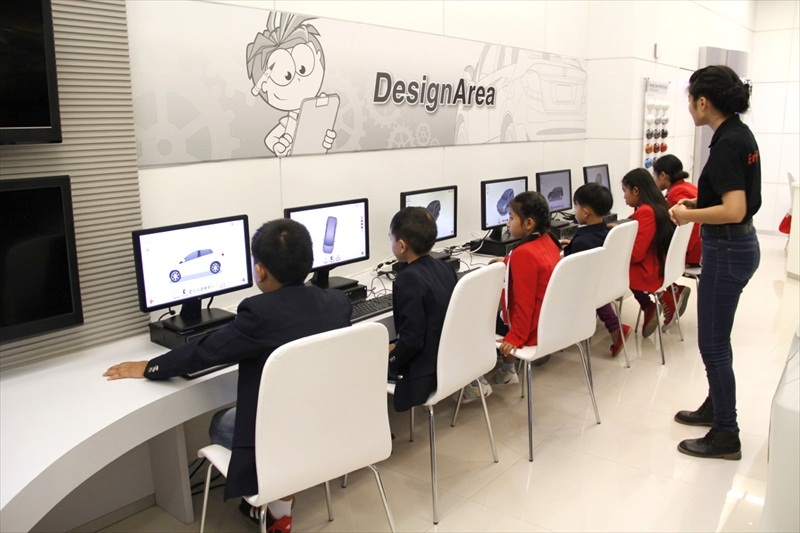 Once in the center kids choose from more than 80 careers (doctor, police, chef, model, reporter, etc.) and 65 establishments (city hall, bank, restaurants, hospital, sports stadium, etc.) that it takes to run a city. Aspiring pilots and aircrew can climb into a real Air Asia Boeing 737 fuselage and cockpit for a test flight. Future auto mechanics can learn new skills at the B-Quik auto repair shop. 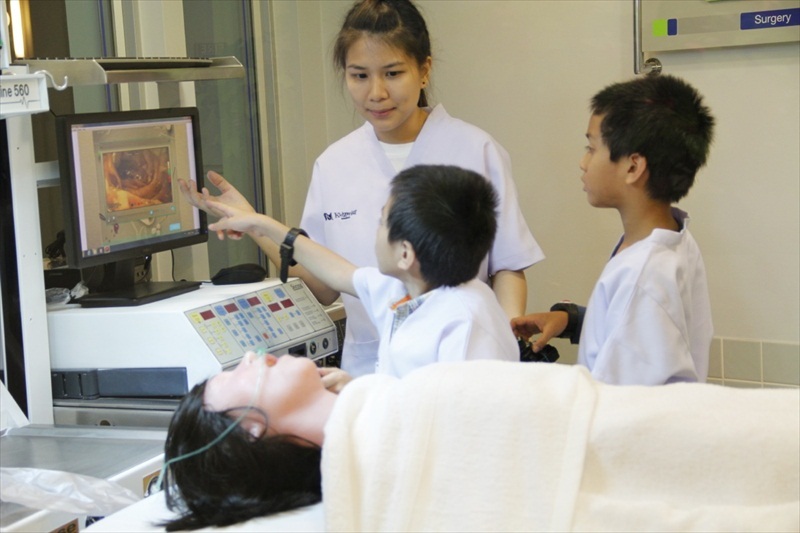 Or, children can explore KidZania Bangkok’s more unique establishments, such as the Green Tea Factory or Drinking Water Research Center. As with all KidZania attractions, the industry partners are an integral part of the experiences and add authenticity to the career-based, role-playing activities. KidZania Bangkok has partnered with well-known global and local brands, including Air Asia, AIS, B-Quik, Brand’s Junior, Canon, Chang Drinking Water, CIMB Thai, Coca-Cola, Honda, Hoya, McDonald’s, CP-Meiji, Muang Thai Life Assurance, Oishi Restaurant, Oishi Green Tea, PTT, Q-House, SCG Tra Chang and Cotto, 7-Eleven, Siam Paragon Department Store, SmartHeart and Meo, Stabilo and others. The event started today at 4:30pm with the arrival of hundreds of guests including representatives of 10 KidZania States: Mexico, India, Egypt, Kuwait, Philippines, South Korea, Portugal, Japan, Singapore and Kuala Lumpur, as well as members of the Central Government of KidZania. Everyone had the chance to take a picture upon their arrival. With everyone gathered at the Central Plaza of KidZania Bangkok, the ceremony started with speeches by Mr. Scott Schubert (Governor of KidZania Thailand), Mr. David Salim (Chairman of Kids Edutainment Holdings Thailand Co. Ltd.), Khunying Jada Watthanasiritham (Chairwoman Siam Paragon Development Group), and Mr. Xavier López Ancona (President of KidZania). 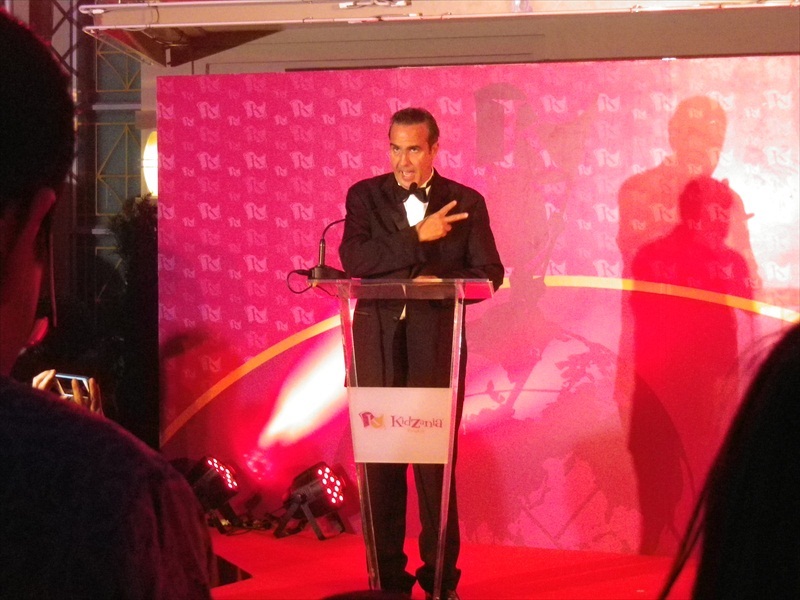 Before finishing his participation, Mr. López invited all guests to witness the lighting of the Eternal Spirit and sing together the KidZania National Anthem that celebrates the past and future of this great nation. This significant moment marked the Official Founding of KidZania Bangkok, inviting children to become part of our nation and to Get Ready for a Better World! 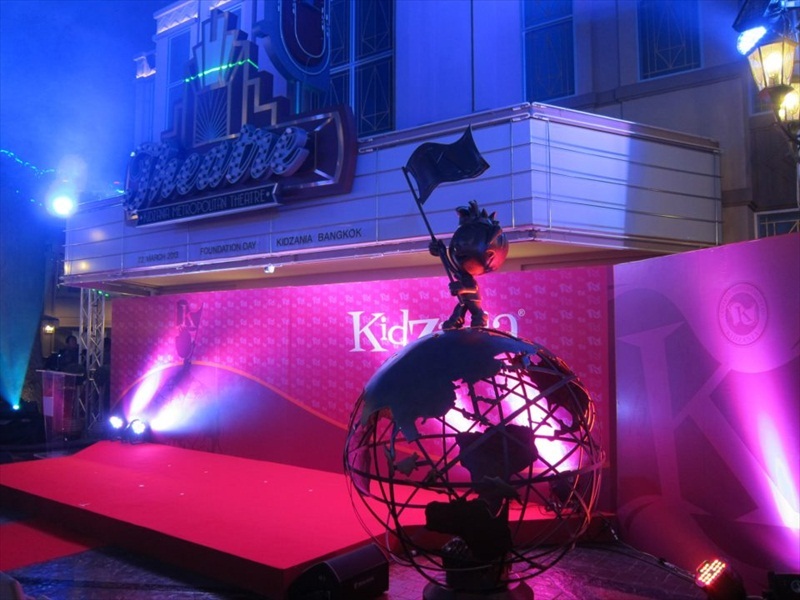 A Red Carpet preceded the ceremony and guests were able to walk through the streets and plazas of KidZania Bangkok, the 12th and largest indoor KidZania city. KidZania Bangkok will open to the public on March 29, 2013.